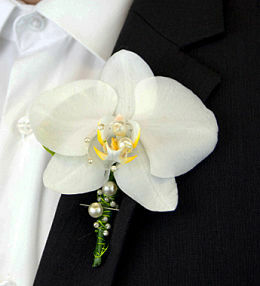 No matter if it&apos;s your prom or wedding, you always want to look your best. 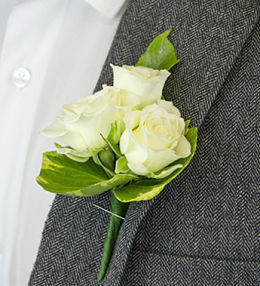 The ideal accessory to top off any suit and tie is a perfectly designed boutonniere. 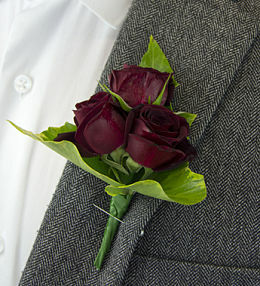 At Prestige Flowers, we have a wonderful rage of buttonholes made from top quality fresh flowers. 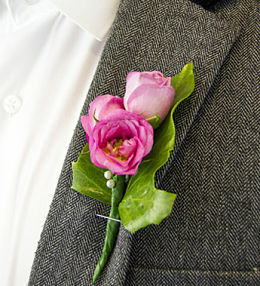 Available in several colours and different flower types, each buttonhole is made with precision and care. We also understand the importance of standing out as a couple and coordinating your wardrobe to match. 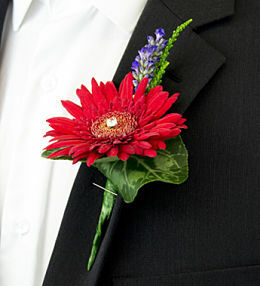 To make your flower choice that much easier, we offer a range of corsages to match each of our boutonnieres. 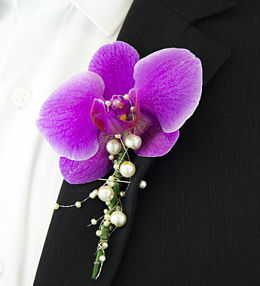 Corsages are sold separately. 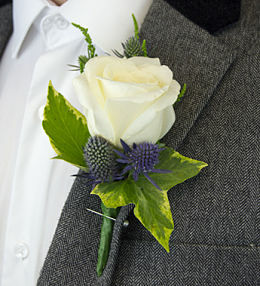 This white rose and pale blue eryngium set against variegated foliage is the perfect accessory to complete an outfit.